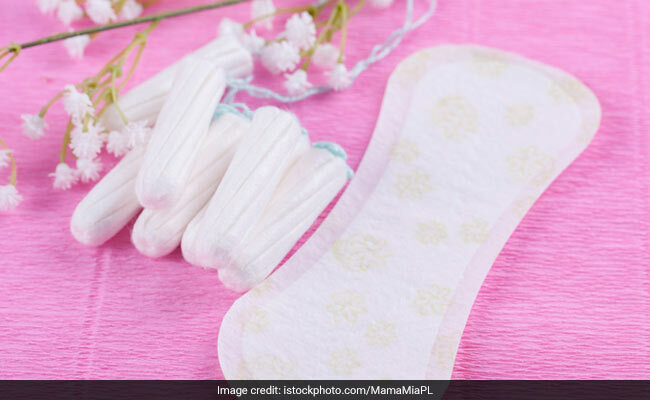 Organic cotton, banana or jute fibre and even old clothes are now among the alternatives of sanitary pads, but are not completely accessible as yet. Awareness about the harm easily-accessible, plastic-based sanitary napkins have been causing to both health and the environment is spreading -- but slowly. And helping the cause of better menstrual hygiene, many sanitary pad makers, NGOs and indigenous brands are turning towards natural products to produce sustainable pads. Organic cotton, banana or jute fibre -- and even old clothes -- are now among the alternatives on offer to the sanitary pads sold by the MNCs in India. But why do we need these alternatives? According to reports, every plastic-based sanitary pad has non-biodegradable content which takes around 500-800 years to decompose. Apart from the threat to the environment, medical experts have also voiced concern over possible pelvic infection due to repeated use of these easily-available plastic pads. One of the companies providing an alternative is Ahmedabad-based Saathi, which was started in 2015 by graduates from MIT, Harvard and Nirma. "We realised that there was a need for an alternative, and urban women were looking for different products because they were becoming aware of the consequences of plastic-based pads. The idea of using banana fibre came up and we decided to make sanitary pads based on it," Saathi co-founder Kristin Kagetsu told IANS. Banana fibre comes from the stem of the banana tree, which, after harvesting, is normally discarded. Saathi buys the stems from collectives of local farmers. "After being disposed, Saathi's pads degrade within six months, which is 1,200 times faster than the MNC pads. Since our products are made of natural materials, Saathi pads provide an experience free of rashes and irritation," Kagetsu added. It was not an easy ride for the founders of Saathi. Tarun Bothra, another co-founder, said apart from breaking the taboos associated with menstruation, another major challenge for them was to convince banana farmers to sell them the fibre for making pads. Also read: Can Using Sanitary Pads Lead To Cervical Cancer? Another sanitary pad maker, EcoFemme, based in Auroville, is also in the business of making eco-friendly menstrual products -- they make cloth-based pads using organic cotton. "Our target is women aged 18-35. Our products are sold in rural areas through our 'Pads for Sisters' programme which offers women the opportunity to buy the pads at a reduced price. 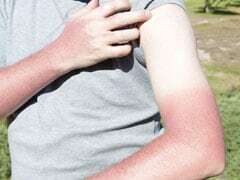 The response is good, once there has been a conversation around the benefits," said Laura O'Connell from EcoFemme. It's not just producing the pads; the makers have also taken up the responsibility of creating awareness about menstrual hygiene amongst women, especially in rural areas. Anshu Gupta's Not Just Piece of Cloth (NJPC) was among the first to turn clothes into pads. For over a decade now, 'MyPad' has been selling its products in rural areas where there is little access to sanitary pads, and even in cities. "In earlier times, clothes were used. But it was portrayed that clothes were unhygienic. Yes, they are, if not cleaned properly. We at Goonj first thoroughly clean the clothes, make them hygienic, make the pads and the distribute them among women, especially in rural areas," Meenakshi Gupta from NJPC told IANS. Also read: Health Hazards Of Using Sanitary Napkins: Are There Alternatives? She revealed that the idea of making cloth pads came when Goonj, an NGO, found that in rural areas, or even slums of urban cities, women use clothes during menstruation. "It is better to use hygienic clothes than nothing. Women in rural areas lack the knowledge that if used in a hygienic way then clothes are equally good. We don't aim to make profits, rather make women aware about periods. We have observed quite a change (in attitudes)," she added. When will such products make it to every household? Although Saathi has collaborated with local NGOs to reach out to rural women, its co-founder Bothra -- also the company's CTO -- believes that the wider use of alternative sanitary pads is going to take some time in India. "Frankly speaking, in rural areas women don't even have an idea about sanitary pads; so knowing about the existence of biodegradable sanitary napkins or organic pads or even hygienic clothes is very rare," Bothra, whose products are available on e-commerce platforms, explained. He further noted that since the MNC-produced pads are easily available at low cost, women don't show much interest in investing money on the alternatives. "Price is often a factor for women when it comes to the purchase of biodegradable or organic pads. When one is getting the plastic-based sanitary pads at a lower rate, they don't like to shell out extra ," Bothra noted. O'Connell said that though their products have a higher up-front cost, the pads can be used for three to four months -- which saves money over time. "Our 'Pads for Sister' programme aims to make our pads affordable to women who would otherwise not be able to afford them; and our 'Pad for Pad' programme provides our pads to school girls for free," she added. The alternatives are slowly treading the path to being accessible to all, and their makers are optimistic about the future. "There is a growing awareness, but there is a lot of work to do to make reusable options more widely known. We believe in informed choices; so we hope that more people in all areas of India, not just rural, will become aware of sustainable options and make a decision based on the fact that reusable products are better for health, the planet and our wallets," O'Connell commented.